The President of India, Shri Pranab Mukherjee, as the Visitor of Central Universities, IITs, NITs, IISERs and other central institutions, delivered a New Year Message through Video Conferencing and webcasting to the students, faculty members and academic fraternity using National Knowledge Network from Rashtrapati Bhavan today (January 7, 2014). Addressing the students, the President said students are the bright future of the nation. The extent of India's progress will be decided by their energy, drive, initiative and industry. He said "Understand our nation and its institutions. Read, learn and formulate views on national issues. Choose to engage with our beautiful, complex, often difficult and sometimes noisy democracy. Understand your rights and duties well, especially towards those who are less fortunate. The voiceless deserve your voice; the weak deserve your strength; and the needy deserve your help. Make the best use of your knowledge in the service of the nation and its citizens". The President said pursuit of academic excellence should be accompanied with the quest for moral development. Students' preparedness for life should be on the foundation of essential values of patriotism, compassion, tolerance, integrity and equality. 'Inspired Teachers' by their own example can instill good moral values in their students. These teachers must be encouraged to share their wisdom, thoughts and experience with the larger academic community. He suggested that an Inspired Teachers' Lecture Series be initiated to carry forward the benefits of excellence in teaching. The New Year Message of the President was received by institutes connected over 400 locations all over the country. 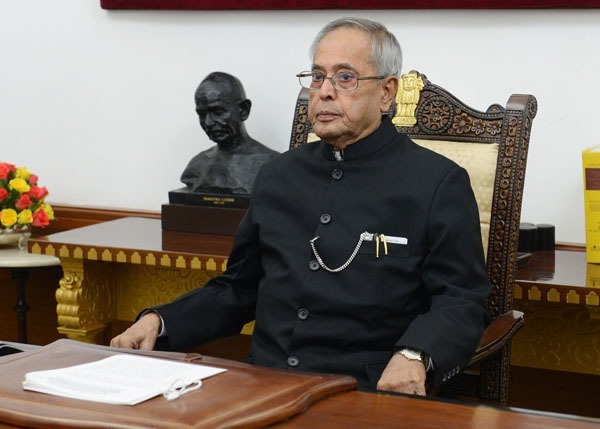 This is the first time that the President of India, as Visitor of the central universities and institutions, has used the National Knowledge Network to reach out to the students and academic community.